I chickened out this morning. 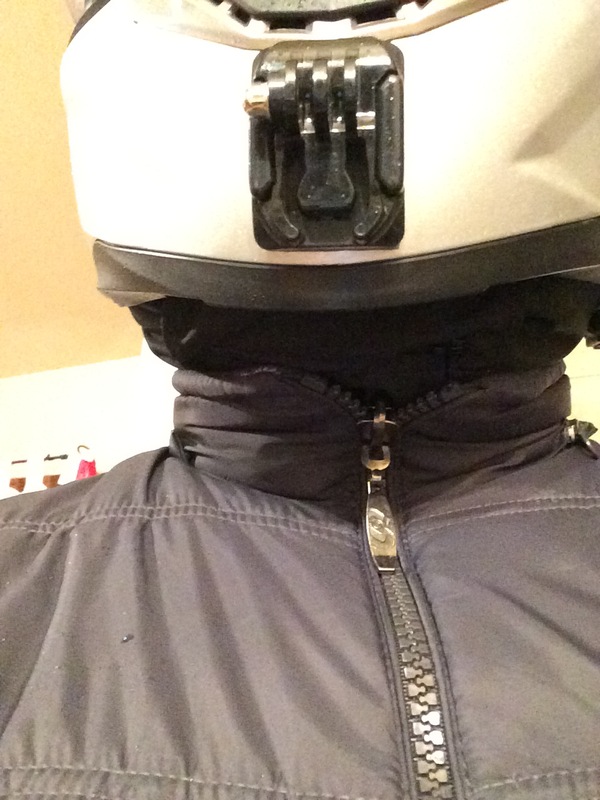 It was cold rainy and a perfect day for trying out all my gear, but I was feeling under the weather and couldn’t muster the testosterone to make the ride. So, I did a mini ride to the mailbox in the evening instead. The wife was finished squashing my dreams and it was the perfect time to get on the Grom for a short trip to the mailbox (quarter mile down the road). Little bit of rain, temperature in the 40s, why not? 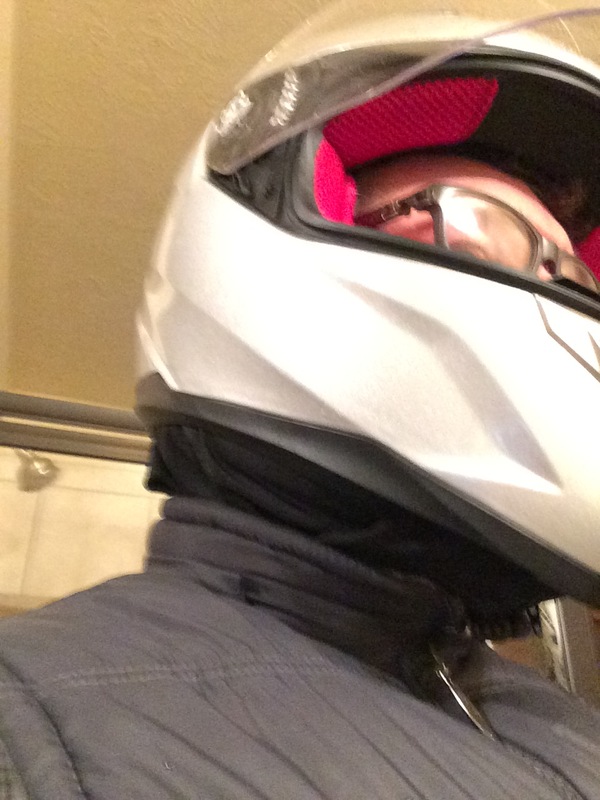 So I geared up in a vest and helmet. 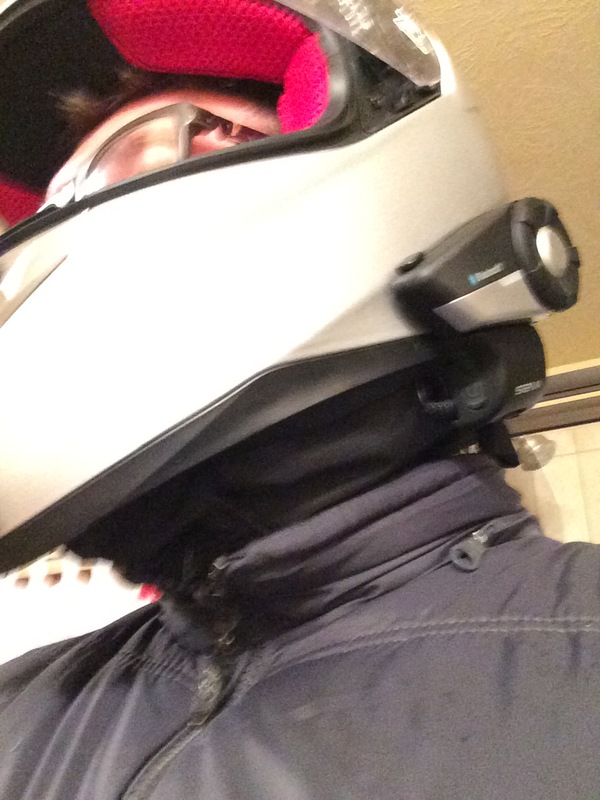 The neck gaiter tucked in nicely to my vest and was surprisingly not bulky. I could sense it only slightly as I turned my neck to look around. The wind was very well kept off my neck and face, so it was time to try the frog spit. It was easy to keep breath in the helmet with the neck all cinched up tight and the temperature was right for fog, but once I got going air coming through the front vent did a great job flowing past the visor and the only thing I could really fog were my glasses. So far I’m happy with the gator and the Frog Spit. Maybe I’ll dare ride tomorrow, supposed to be thunderstorms:). Next Next post: The Holidays Can Get Messy and so is my New Sno Runner!